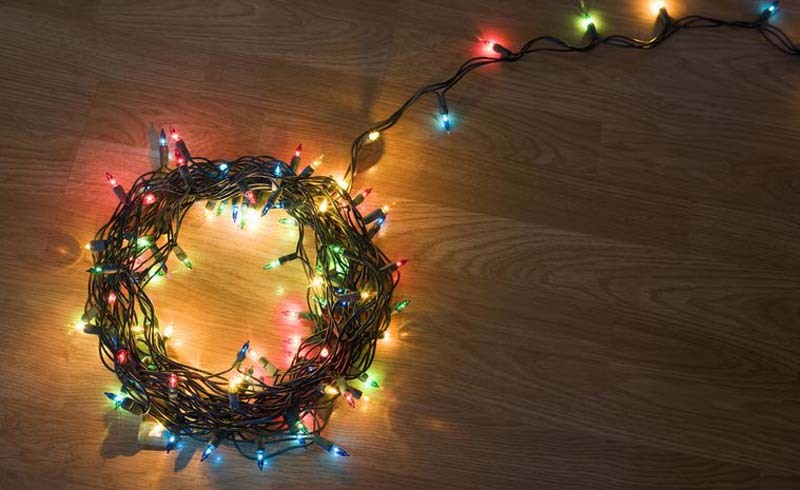 Do you know the "right" way to string Christmas tree lights? You've probably been stringing lights onto your Christmas tree every year since you can remember. 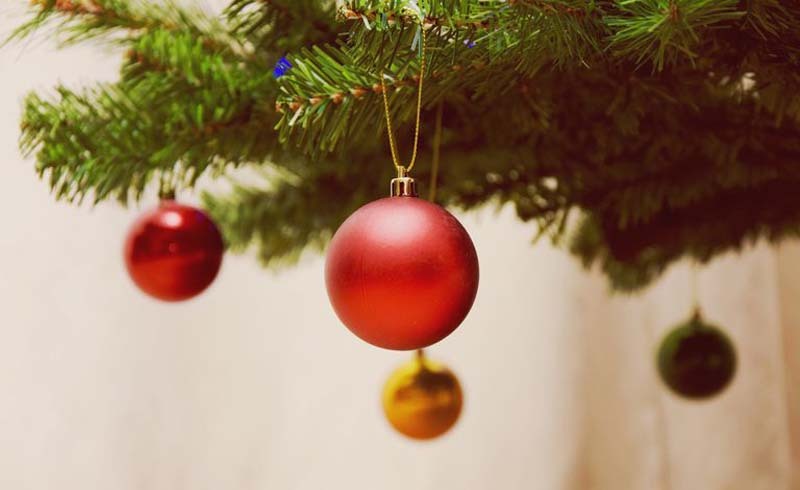 But believe it or not, there are a few different techniques out there that have become a source of great debate: Do you hang Christmas tree lights horizontally or vertically? Do you go top-to-bottom or bottom-to-top? Don't doubt your stringing skills just yet. Much like the classic toilet paper dispute (over or under? ), there's really no right or wrong answer, but it never hurts to try something new: Maybe you'll find an even more efficient way to tackle the task. 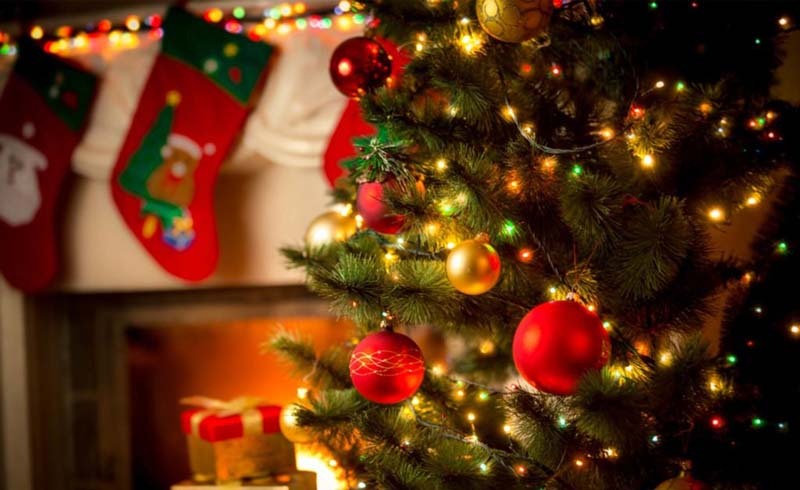 Tip: Generally, plan for about 100 Christmas lights per foot; a 6-foot tree would get 600 lights. First, plug the lights in to make sure all the bulbs are working. This will save you a lot of stress later! Starting at the top or bottom (depending on preference), wrap the lights around the tree. Mix it up by placing some lights deeper than others and alternating patterns so it looks more organic. Tip: When you have to connect plugs, hide the eyesore by fasten to a branch with floral wire. Designer Francesco Bilotto swears by a vertical approach, which started circulating a couple years ago. As Bilotto told House Beautiful, this way ensures the tree shines brightly (the lights are less likely to be covered up by other branches). Plus, he says, it's easier to take apart. Plug the lights in to make sure all the bulbs are working. Start with the plug-less end of your lights at the top or bottom of the tree (Bilotto, for what it's worth, is a top-starter) and let the lights lay vertically like a seam. Each time you reach the top or bottom, turn the lights back the other way until you have a sideways S pattern around the whole tree. Tip: Hang shiny ornaments in the middle to help reflect the light for more depth. "I string my lights from top to bottom because your plug is at the end of the strand and closer to the bottom of the tree and outlet," says Home Depot's director of trend and design Sarah Fishburne. Plus, she says, if you run out of lights, it's easier to spread them out and even add more lights to the bottom versus the top. Start at the top of the tree, intertwining the lights on top of and under branches. Work your way down and around the tree, hanging lights in the back as well. When you reach the bottom, hide any extra lights behind the tree. If you want to add more lights, do another pass, starting again at the top and working down. 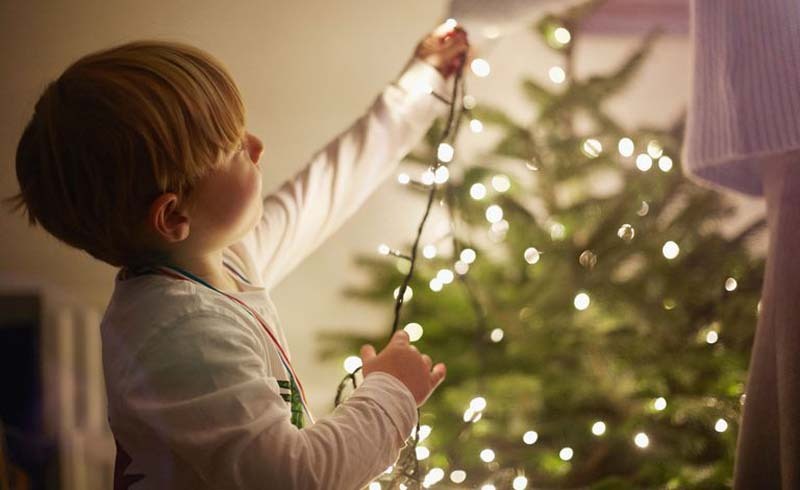 Tip: Make sure you wrap the lights loosely on each branch for the best overall affect. Home Depot's Seasonal Merchant Kelie Charles goes bottom-to-top because she can plug the lights in first. "It makes it easier to see what the lit tree will look like as I'm stringing the lights," she says. If you have extras, wind them back down. If you run out, start a new string and run an extension cord down the back. Start at the bottom, stringing your lights by zigzagging them through the tree in quadrants, section by section, versus around the tree. Place some lights deeper into the branches and place some closer to the front to create depth. Hide the lights' connectors by pushing it deep into the tree branches near the trunk. Once you reach the top, you can either tuck the extra lights into the back of the tree or run an extension cord down the back to the outlet. Tip: Try to avoid any obvious pattern or spiral; you want the lights to look natural. Who knew Christmas lights could be so controversial? The top-to-bottom or bottom-to-top issue was even the subject of a thread on Houzz. "That question alone started some big, er, 'debates' back in the day for us," one commenter wrote, "until we got a pre-lit tree and quit answering that question." Responders' opinions varied, and a couple of commenters even introduced a third technique: "I put the lights on as I assemble the tree," said another person. "One layer of branches and then the lights going back and forth on each branch. This way when the tree is completely assembled, it's complete with all the lights and they really add some depth to the tree because they are not only on the outside of the tree." Of course, if you have a real tree, you'll have to choose. Happy decorating!